For a fitness programme tailored to your needs, just ask a Better fitness instructor and they'll be happy to put together an exercise programme to suit you. 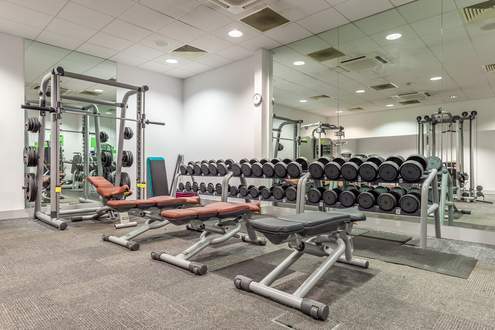 Before using the gym you'll need to complete an induction, so our fitness instructors can check you are well enough to train. 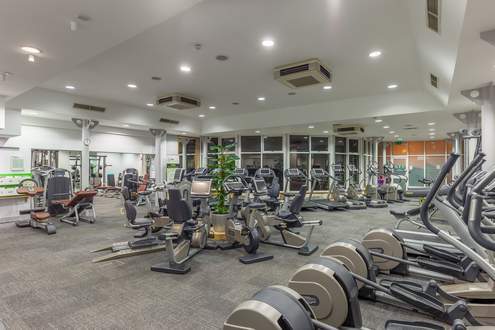 This also gives you the opportunity to get advice about other activities the centre may offer which could help you achieve your fitness goals. Re-focus sessions are available to you at any time if you are a pre-paid member. Our fitness instructors will review your goals and set some more targets to challenge you as your fitness improves. Along with the targets, different exercises will be provided to keep your workout fresh. Did you know that keeping your workout more varied and challenging will actually keep you much fitter? 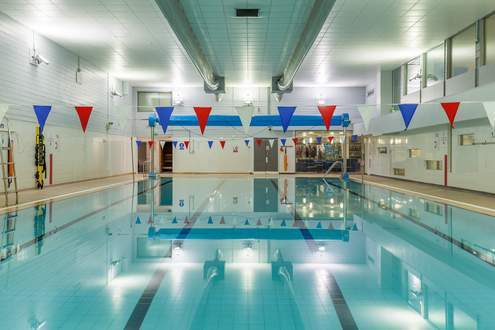 The pool is 25 metres long, with 4 lanes and a changing village located next to the pool side. Have a look at our timetable to find a session. Swim fit sessions are laned pool sessions with options of slow, medium and fast pace. Use of paddles and soft rubber fins is permitted. They are aimed at the age group 16 +. However under 16s can use the pool session if they are strong swimmers wishing to swim lengths in support of club or competition swimming. Swim for all sessions are general swimming sessions for use by anyone regardless of age or swimming ability. Fun sessions are float mat sessions aimed at children under the age of 16. 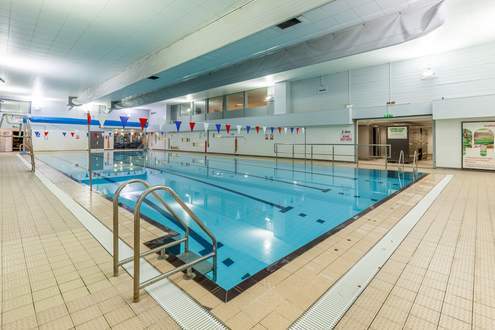 Whilst the sauna and steam room are still available for use the pool is restricted only to adults accompanying children. We also have a changing facility for disabled users, including adjustable height changing bed and hoist. The swim safely and pool rules apply to all sessions. To vary your workout why not try a fitness class? We offer a range of classes - from beginners to advanced level - in a fun and sociable environment. Training in a group environment can help you maximise your workout. The studio is bright with mirrored walls and fully air conditioned. It has a powerful sound system to ensure you are pushing hard through your class. 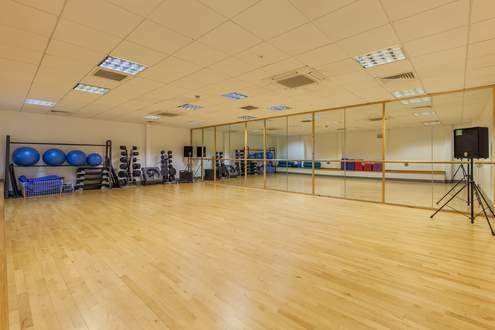 We offer 28 classes a week, ranging from cardio, circuits, dance, cycling and yoga. Our personal trainers provide exercise programmes for all areas of general fitness, and they are there to give you all the motivation and support you need to achieve your goals. Your trainer will design a progressive training workout just for you. They'll select the appropriate loads, reps, sets and sequence of exercises, ensuring your time is best spent. This will give you much better results than if you were training alone. They can also offer nutritional and lifestyle advice to support your fitness journey. The workouts will be challenging, educational yet fun, and hopefully you'll find the experience has a positive effect on your whole life! Functional fitness is extensively used and you will never grow bored of your training. All our Better personal trainers have REPS (Register of Exercise Professionals) level 3 qualifications or equivalent, which is the required national standard. Squash is a brilliant way to work out, let off steam and perfect if you have a competitive streak! 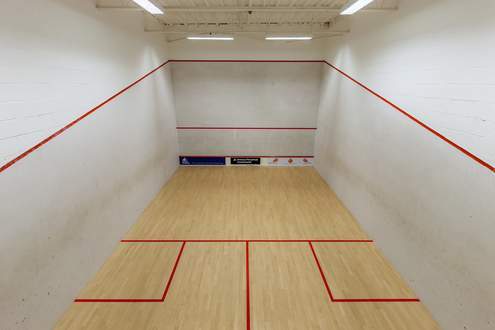 There are 2 glass-backed squash courts available at the centre, complete with a viewing balcony. Racketball can also be played on the squash courts - with a larger more bouncy ball, it typically provides longer rallies and a lot of fun! The courts are in demand so please book courts in advance (up to 6 days ahead) to secure your game. Badminton is a great sport to make new friends and re connect with racquet sports. We have 4 courts available in our sports hall, they must be booked in advance (up to 6 days ahead). We also support Badminton England and offer fun nights and groups so if you have no partner to play with we can help you out! 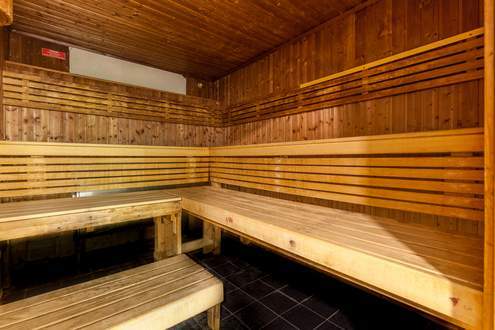 Located on pool side there is a sauna cabin and steam room. They are open during public swimming sessions.